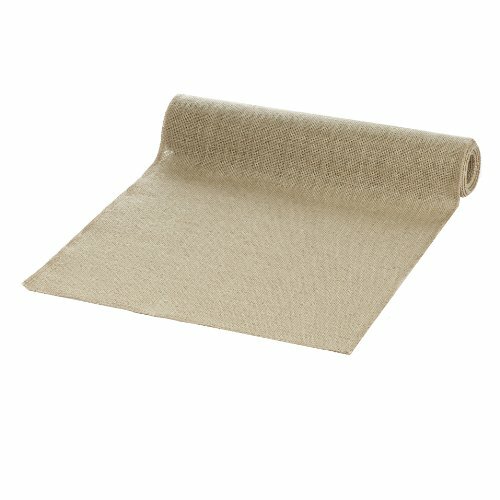 Give your wedding tables a final touch with this rustic hessian burlap table runner. Would go perfectly with our rustic wedding table numbers, place cards, wedding cake bunting or the "Just Married" or "Mrs & Mrs" Bunting. Doesn&apost have to be used exclusively at weddings, but as decorations for parties or the dining table at home.The product is manufactured in China. 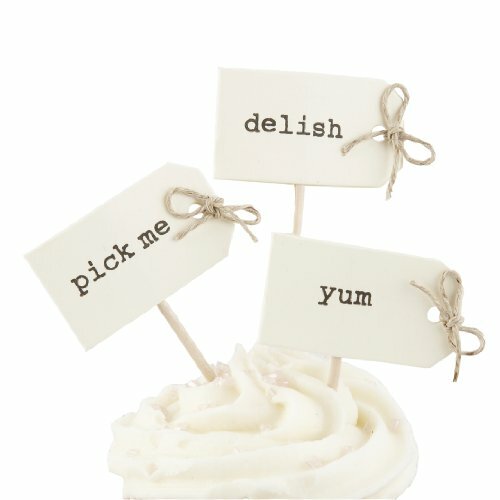 Pack of 12 Cupcake sticks on a textured card with a cute bow and the words delish, I do and pick me. We have also left 3 of them blank for you to fill in yourself! Cupcake anyone? Each stick is around 6.5cm high. The product is manufactured in China. Make your big day memorable by capturing pictures of you and your loved ones using this fun photo booth Prop pack! create your own photo booth fun by posing with these lovely novelty props. 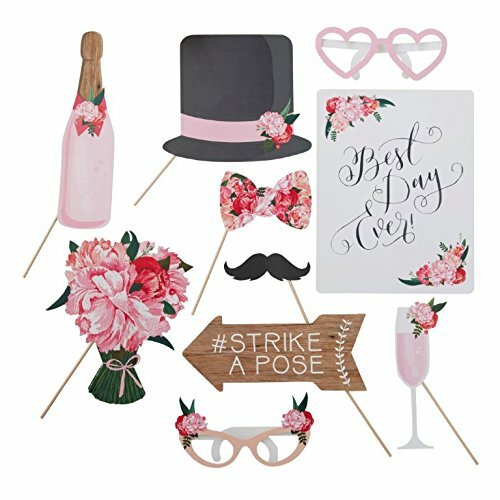 Each photo booth pack contains: 1x best day ever sign, 1x bouquet of flowers, 1x Bow tie, 1x Champagne glass, 1x top hat, 1x moustache, 1x #strike a pose sign and 2x glasses. Each Prop is Around25 Chemin height and has a thin wooden handle to hold on to. 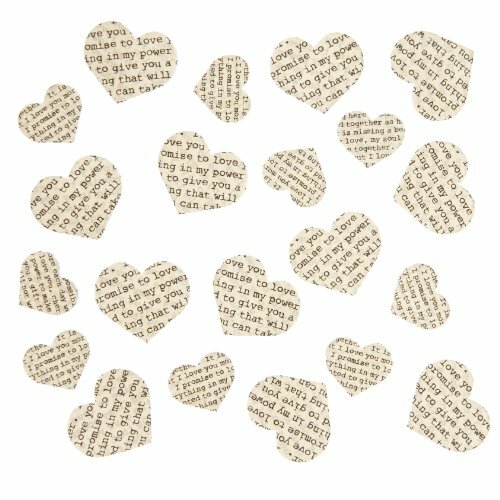 Our Romantic and delicate heart shaped vintage love poem confetti has around 250 pieces in a pack. The confetti is printed on both sides and is a mixture of small and medium sized hearts. Large confetti is approx. 2.5cm x 2cm & small confetti is approx. 1.7cm x 1.4cm.The product is manufactured in China. Silhouette: A-line Sleeves: Short Sleeves Size information (cm): S: Bust: 86 cm, Waist: 67 cm, Length: 98 cm M: Bust: 91 cm, Waist: 72 cm, Length: 100 cm L: Bust: 96 cm, Waist: 77 cm, Length: 102 cm XL: Bust: 101 cm, Waist: 82 cm, Length: 104 cm 2XL: Bust: 106 cm, Waist: 87 cm, Length: 106 cm 3XL: Bust: 111 cm, Waist: 92 cm, Length: 108 cm 4XL: Bust: 116 cm, Waist: 97 cm, Length: 110 cm Pleased allow for 1-2cm (0.4"-0.8") differences due to Manual Measurement. 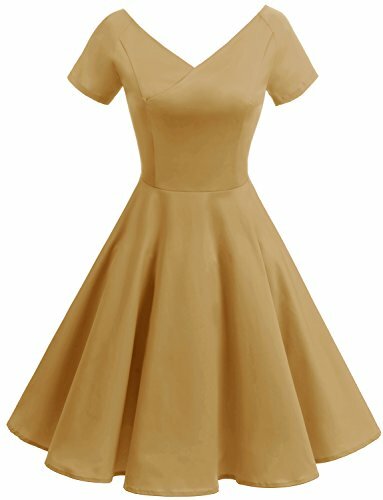 Occasions: Wedding, Party, Evening, Bridesmaids, Cocktail, Daily, Business, Work, etc. With any question, please contact us freely, we are always at your service. Be sure to get yourself ready with this cute countdown sign! 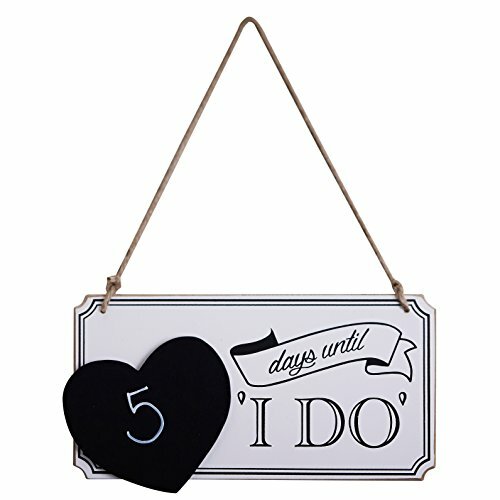 The sign comes with a heart chalkboard so you can add the number of days till the special day arrives. This item is made from wood and comes complete with twine to hang. Please note that chalk is not included. W 27.5 x H 17 x D 0.6cmThe product is manufactured in China. 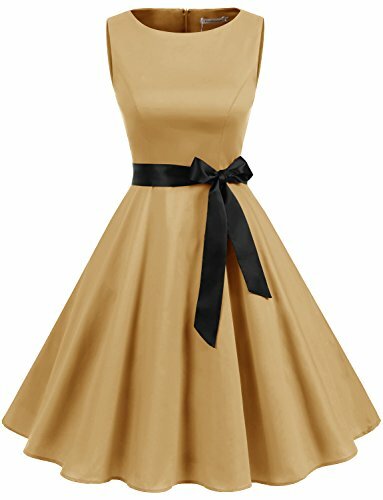 Silhouette: A-line Sleeves: Sleeveless Size information (cm): XS: Bust: 83 cm, Waist: 64 cm, Length: 100 cm S: Bust: 87 cm, Waist: 68 cm, Length: 101 cm M: Bust: 91 cm, Waist: 72 cm, Length: 102 cm L: Bust: 95 cm, Waist: 76 cm, Length: 103 cm XL: Bust: 99 cm, Waist: 80 cm, Length: 104 cm 2XL: Bust: 104 cm, Waist: 85 cm, Length: 105 cm 3XL: Bust: 109 cm, Waist: 90 cm, Length: 106 cm Pleased allow for 1-2cm (0.4"-0.8") differences due to Manual Measurement. Occasions: Wedding, Party, Evening, Bridesmaids, Cocktail, Daily, Business, Work, etc. With any question, please contact us freely, we are always at your service. Looking for more Vintage Ginger similar ideas? Try to explore these searches: Cooper Hand Tools Wiss, Waterman Racing Components, and Angel Craft Kit. Look at latest related video about Vintage Ginger. "Vintage America With Ginger" Ep 1 "Welcome To Vintage America"
Shopwizion.com is the smartest way for online shopping: compare prices of leading online shops for best deals around the web. 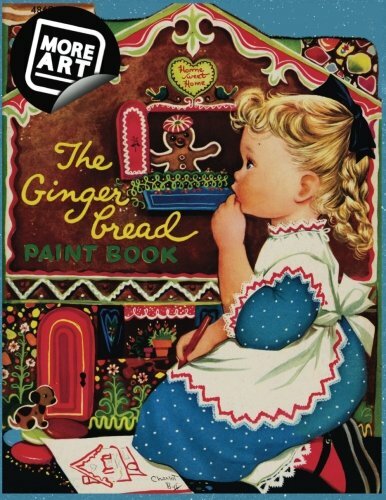 Don't miss TOP Vintage Ginger deals, updated daily.